CRV is used for bottles and packages for certain products. It stands for California Refund Value. It is mostly used in California and imposed by the California state law. The main function is to promote the recycling of packages and bottles. California CRV is taxed. Please Note: By design, CRV is supported in the USA, Poland and Lithuanian fiscal printers. The tax must be set to one of those countries in order for CRV to be enabled per product. Is it not supported in Canada. Click Clear Selections and type CRV in the search bar. Check the box next to CRB so the settings appear on the right side of the screen. Once you've enabled the CRV setting, additional settings will become available. Check the boxes next to Receipt Display, CRV Label, and CRV Amount Taxed from the settings menu so the fields appear on the right side of the screen. For the Receipt Display choose By Product or By Total. In the CRV Label field, you can enter whatever label you want to appear on the Point of Sale and receipts to represent the CRV amounts. 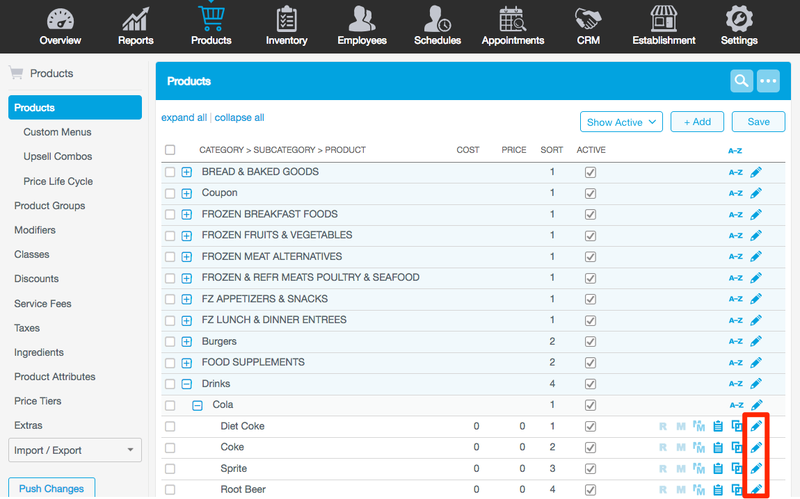 On the Product Details page, click Clear Selections and type CRV in the search field. Check the boxes next to CRV Enabled and CRV Value so the settings appear on the right side of the screen. If this product is CRV eligible, place a check mark in the CRV Enabled box. 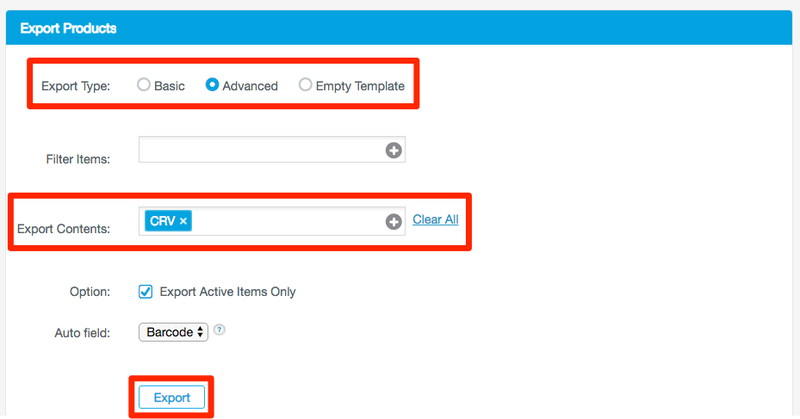 On the Export Products page, change the Export Type to Advanced. Click Export from the window that appears. Open your exported spreadsheet. For all products that are eligible for CRV, enter Yes in the CRV Enabled column (Column K). Save the spreadsheet and then go back to the Management Console. 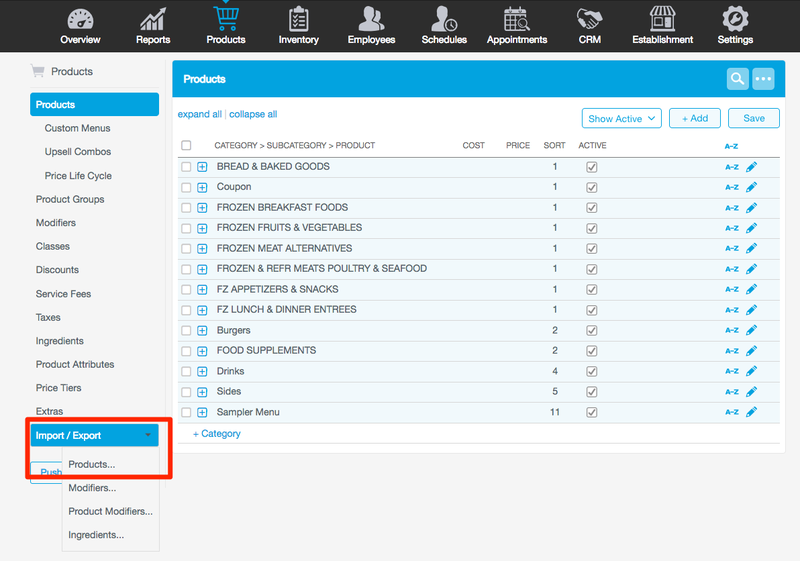 If you are no longer on the Product Export/Import page, navigate back by following Steps 1-2 above. Scroll down to the Import Products section and click Choose File. Your file will be processed offline. You will receive an email with the results of the import. If any errors occurred, fix them in the spreadsheet and follow Steps 11-12 above to re-import your file.